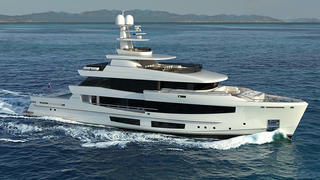 Italian yard Mondomarine has revealed its latest superyacht concept, a 42 metre luxury explorer called Project Atlas. Unveiled earlier this month at the 2016 Fort Lauderdale International Boat Show, Project Atlas features exterior styling by naval architect Gregory C. Marshall, marking the first time that the Canadian has worked with Mondomarine on a superyacht project. In a statement, the yard explained that the yacht’s mythological-inspired name was a reference to its globe-trotting potential and ability to carry “a world of possibilities for adventuring and exploring”. 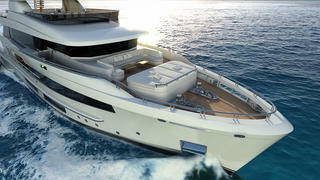 These include an 8.35 metre tender, four Jet Skis and a three-person submersible. 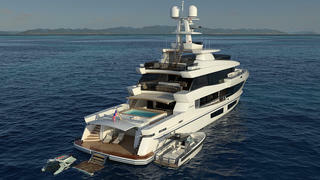 Developed in collaboration with brokerage firm Northrop & Johnson, Project Atlas features a steel hull and a light alloy superstructure, while the interior volume is less than 500GT. 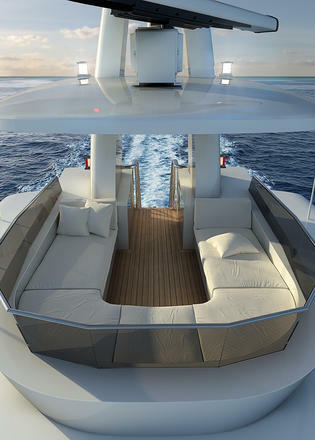 Exterior relaxation spaces include a foredeck seating area, superyacht spa pools on the aft deck and sundeck, while the upper observation deck includes a C-shaped wrap of seating. Accommodation is for ten guests split across five cabins, including a main-deck master suite with his and hers bathrooms. The lower deck accommodation is open to customisation, with the option to merge two of the double cabins into one large VIP suite. Power would come from a pair of 1,000hp CAT C32 ACERT engines for a top speed of 14 knots and a maximum cruising range of 6,200 nautical miles at 10 knots. Other projects currently under development at the Italian yard include the 70 metre Project Arte, which was unveiled in September at the 2016 Monaco Yacht Show.